When you own your own business, the list of things you need seems to be neverending. You want to ensure that you utilize tools that will keep your business running efficiently. As a business owner, you need to stay connected with your customers, clients, and team members for business. Check out these top five conference call providers will help you stay connected! When you’re looking for the best conference call service, Skype may be one of the first that comes to mind. Some of the features of Skype include free instant messaging, free video calls, and free audio calls. Your calls can consist of up to 25 participants. Depending upon your specific business and needs, this may be a great fit for you. However, if you’re looking for a more “secure” option, Skype may not be for you. Are you a Google fan who already uses G Suite products in your business? Why not consider using Google+ Hangouts as your conference call platform? If you need to record your calls for later, it’s important to note that recordings aren’t an option with this service. You can, however, choose to live stream your conferences. Another popular option for conference calls is Zoom. The free version of Zoom allows you to host up to 100 participants on a call. You also get up to 40 minutes on each call. If you plan on needing more time, you can easily upgrade to a paid version for as little as $14.99 a month. If you do a lot of 1:1 calls within your business, this is a great option. The free version of Zoom allows unlimited 1:1 conference calls. If you’re looking for free conference call hosting for a smaller number of callers, consider UberConference. With this provider, you can call participants directly when the conference call begins. This is a unique feature among other conference call services. Conference Town is a great option for a conference calling provider. With no time restrictions and no need for making reservations, this free conference call service may be a great fit for your business. There is no minimum to the number of callers that can be on your call and for best quality, you would keep the maximum to 5000. If you’re looking to save money within your business, this may be a great option for you. When it comes to finding the best conference call providers for your business, you should weigh all the options and see which one fits your needs. With many free services, you can feel comfortable trying difference conferencing services to find your match. You can also check out different conference call services reviews to see what others within your business niche prefer. 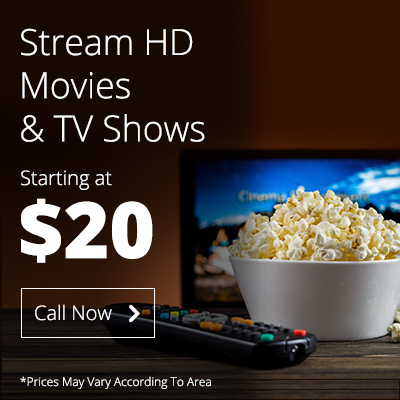 Speaking of the best, if you’re looking for the very best in high-speed internet, HD TV and digital phone call services, contact us today. We’ll help you find the best offer in your area.